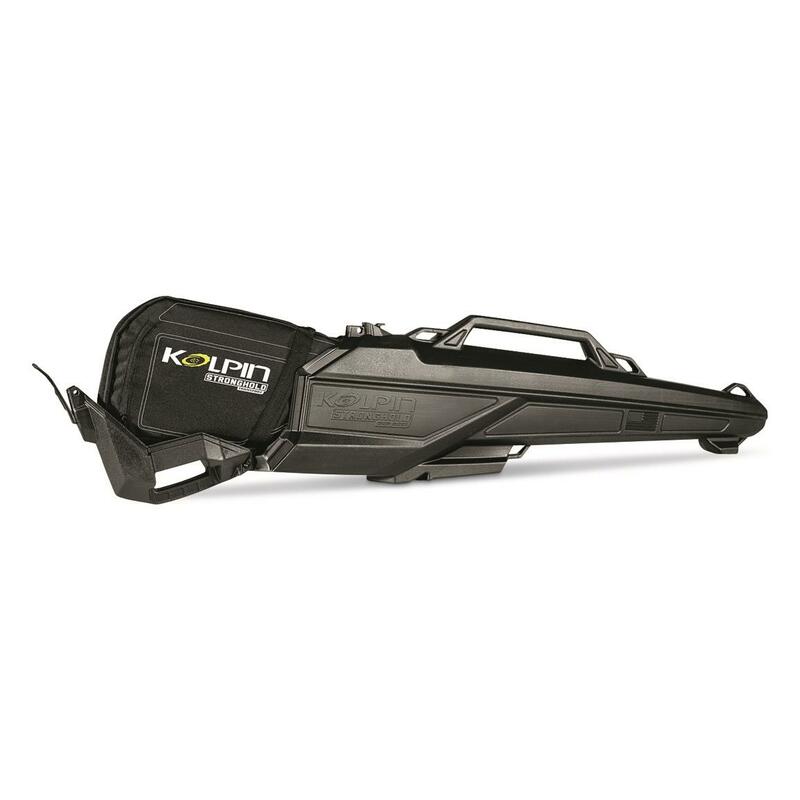 When you need "ATV" to stand for Attached To Vehicle, use the Kolpin Stronghold® Gun Boot XL Impact. The Stronghold system is the most versatile way to securely transport ice fishing gear with confidence over rugged terrain and know it will arrive in the same condition as when you packed it. The removable Impact foam liner is surrounded by a durable hard shell and kept shut with a locking attached lid that operates single-handedly. Slides securely into a Stronghold Auto Latch Mount System (sold separately) and includes integrated tie-down locations for additional securing. 57" x 15" x 7"w.
Kolpin Stronghold Gun Boot XL Impact is rated 5.0 out of 5 by 1. Rated 5 out of 5 by Elk hunting in CO from Highly recommend! The case was used on a Polaris for transport on super jacked up trail and rifle and scope were totally protected.